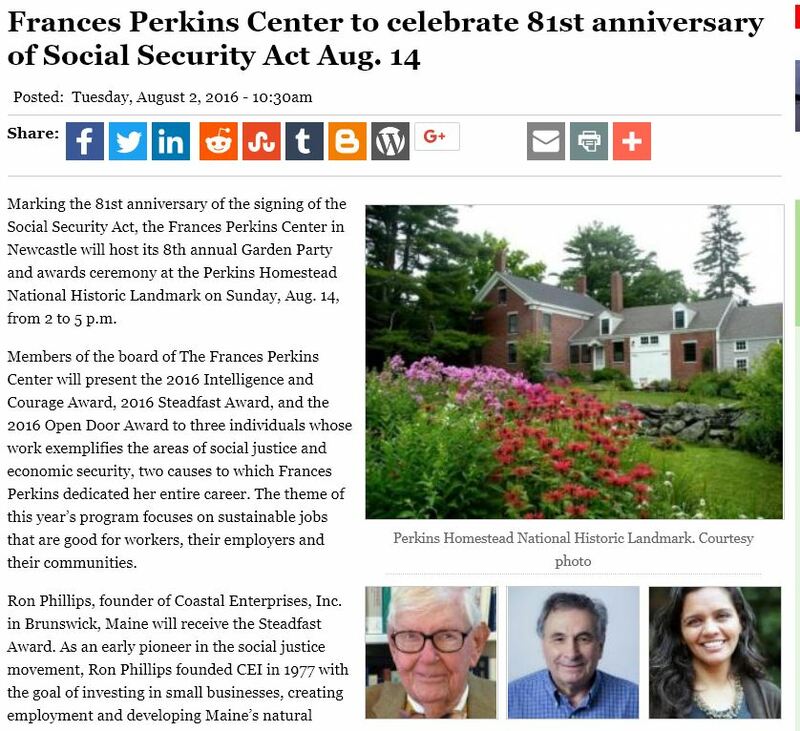 Marking the 81st anniversary of the signing of the Social Security Act, the Frances Perkins Center in Newcastle will host its 8th annual Garden Party and awards ceremony at the Perkins Homestead National Historic Landmark on Sunday, Aug. 14, from 2 to 5 p.m.
Sarita Gupta, executive director of Jobs With Justice in Washington, D.C., will receive the Open Door Award. 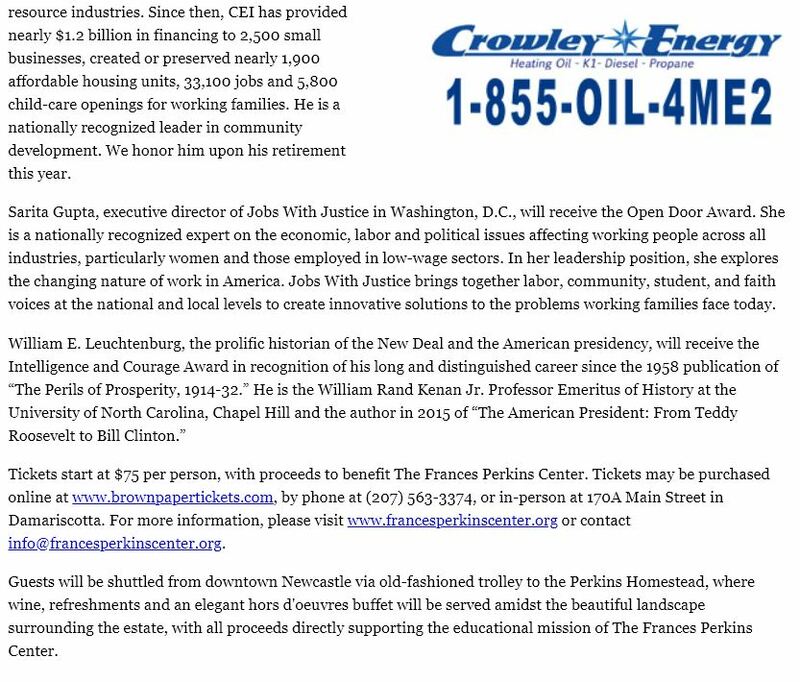 She is a nationally recognized expert on the economic, labor and political issues affecting working people across all industries, particularly women and those employed in low-wage sectors. In her leadership position, she explores the changing nature of work in America. Jobs With Justice brings together labor, community, student, and faith voices at the national and local levels to create innovative solutions to the problems working families face today. Tickets start at $75 per person, with proceeds to benefit The Frances Perkins Center. Tickets may be purchased online at www.brownpapertickets.com, by phone at (207) 563-3374, or in-person at 170A Main Street in Damariscotta. For more information, please visit www.francesperkinscenter.org or contact info@francesperkinscenter.org.